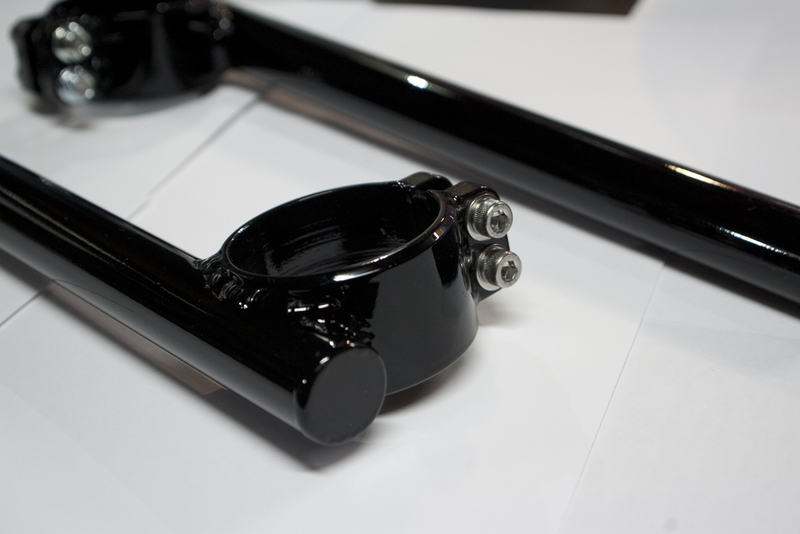 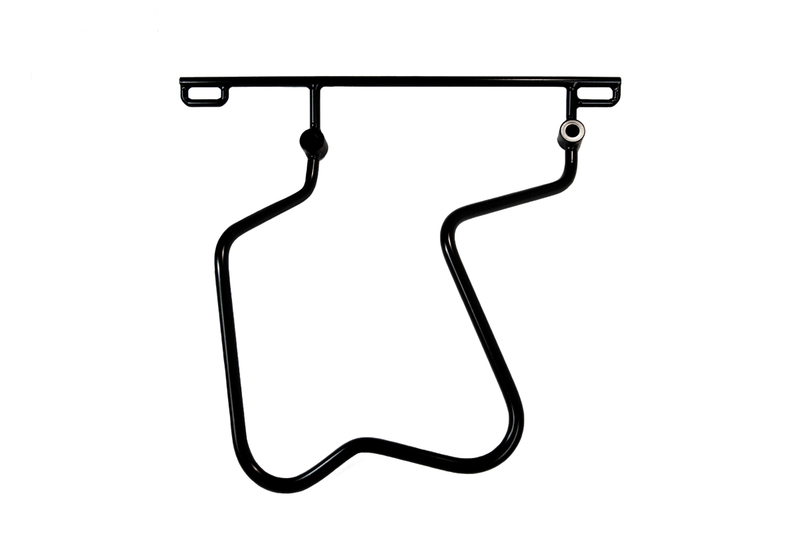 Separated Handlebars for you Harley-Davidson with inverted front forks or 39mm forks. 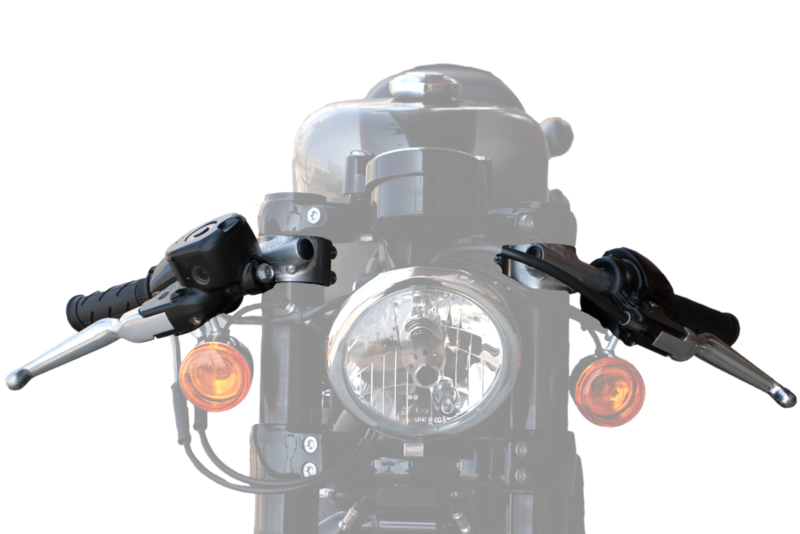 The length from the center of the clamp to the edge of the handlebar is 270mm, and both handlebars lean 8-degree downward. 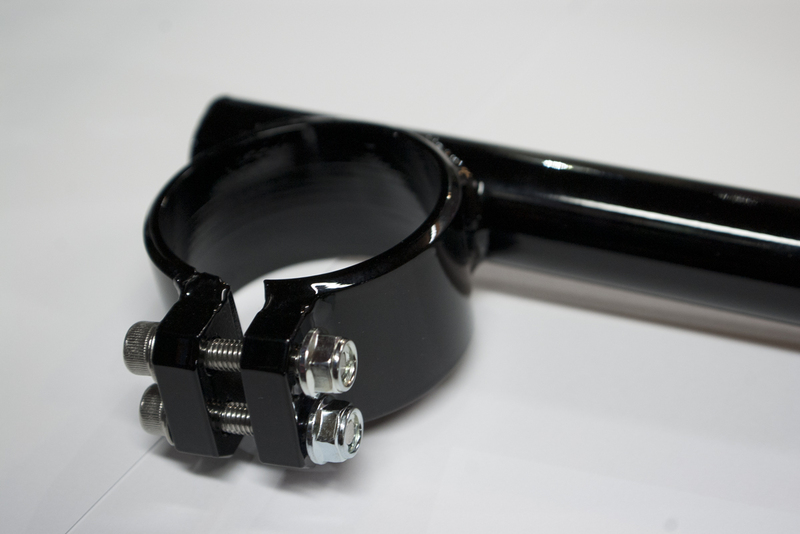 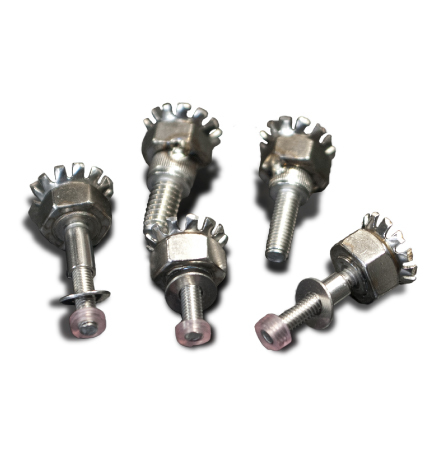 Material of the handlebars is specially selected steel like that of 70's racing machines, not aluminum. 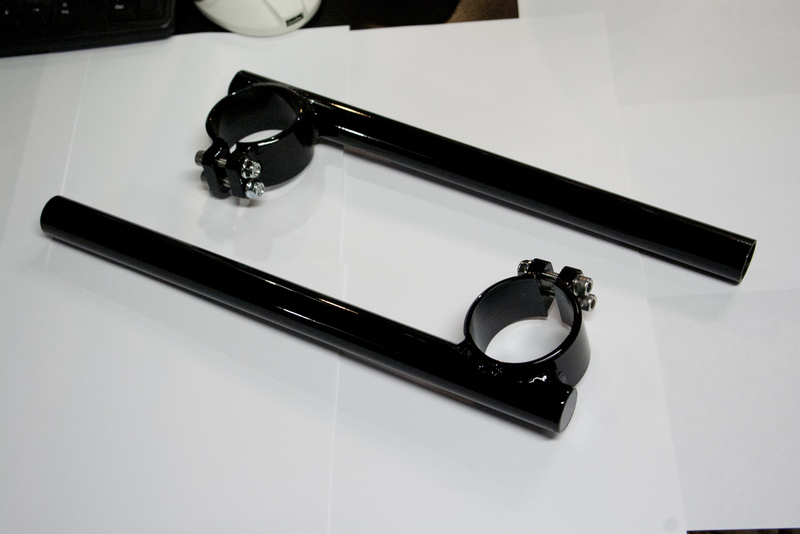 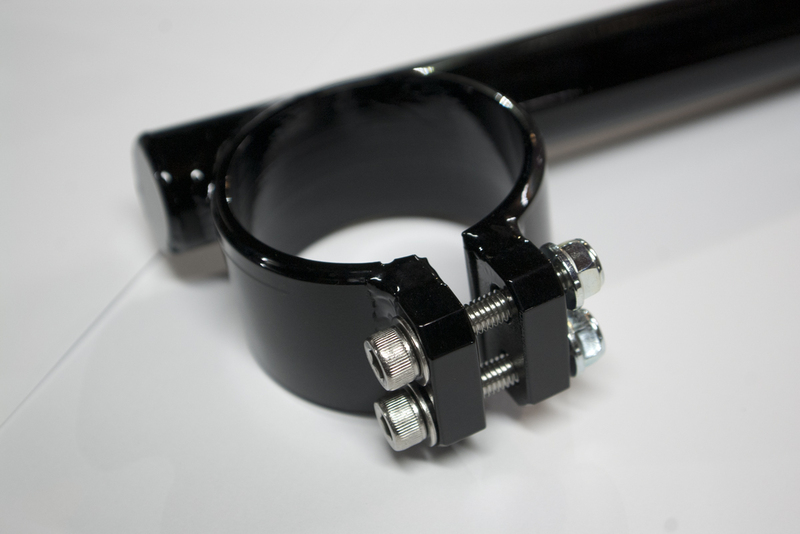 You can use these handlebars with our Anachro Fairing.